Every now and again, there’ll be a big brand launch that will get me very excited. Beyond the buzz and the advertising, it’s well-sourced and effective products that I really love. So when a new product range is being lauded as the largest natural launch for the last 20 years, you can see why my interest was well and truly piqued. My latest object of desire is brand new range OCCO, an extensive collection of 65 products across six lines. Harnessing the diverse and rich natural resources of the Dalmatian Coast and the Adriatic Sea, the OCCO range includes body products and home fragrance in six different fragrances. Each of these six ranges are inspired by different places in Croatia, each area with its own abundance of raw, natural materials and a distinct landscape. The home spa ranges are Sipan No2, a balancing range with purifying coastal extracts; Motovun No3, a calming line with botanical ingredients from deep, fertile Croatian forests; Mirnavina No4, rejuvenating products with vineyard extracts; Markocija No5, a fragrant, soothing line with floral extracts; Raiyia No6 awakens and uplifts with citrus and spice extracts; and Kornati No7, a revitalising, energising range enriched with pure Adriatic waters. OCCO sets an industry standard in the claims to being natural. With at least 95% natural ingredients and 100% natural fragrance blends made from absolutes, extracts and oils, all botanical and mineral extracts have been naturally derived and sustainably sourced. 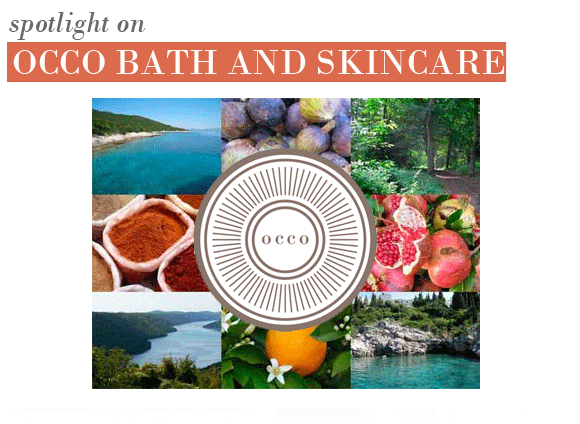 OCCO also bars parabens, sulphates, petrochemicals and synthetic colours from their ingredients lists, so that there’s more room for quality herbs, spices, fruits and minerals that have proven skincare and wellbeing benefits. OCCO plan to build destination spas in each of the seven corresponding areas of Croatia that inspired the ranges. They will capture the essence of their immediate surroundings, assuming the architecture, indigenous ingredients and language to stay faithful to the spirit of the area. Additional spas are also in development across the UK so that beauty aficionados can experience an “enriching, authentic, memorable experience and a deeper, more meaningful understanding of wellbeing” – Anna Doyle, Founder of OCCO. This entry was posted on Saturday, October 16th, 2010 at 9:14 am and is filed under Brand Focus, Skincare. You can follow any responses to this entry through the RSS 2.0 feed. You can skip to the end and leave a response. Pinging is currently not allowed.